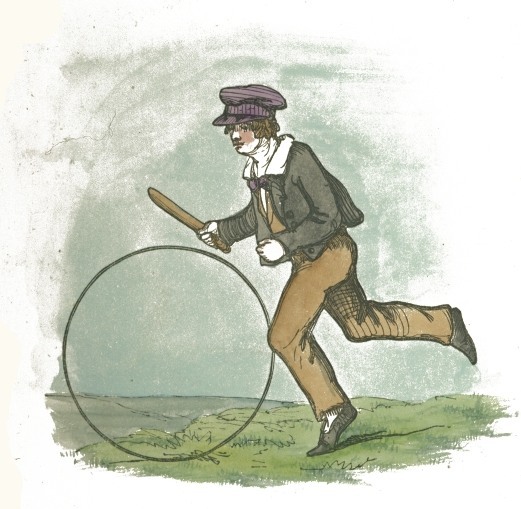 Vintage drawing of a boy playing with a hoop. Victorian era children had a great deal of fun playing with a large hoop and trying to keep it rolling along as they ran beside. Sounds like fun and great exercise.